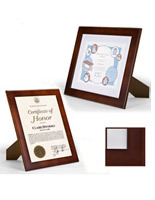 These wooden diploma holders are great for holding 8.5" x 11" photographs, documents and other inserts in homes and offices. 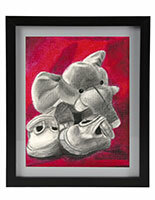 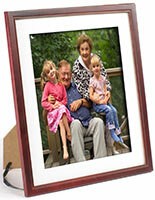 The picture frames have a clear glass cover and are made to hang from walls. 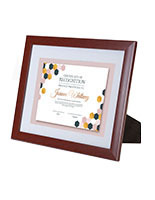 The diploma holders have (2) hooks that allow the fixture to be displayed vertically or horizontally. 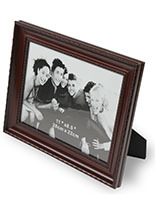 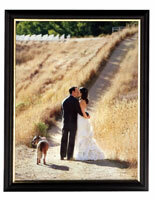 The stylish picture frames have a mahogany finish with a black trim that looks great in any home or workplace. 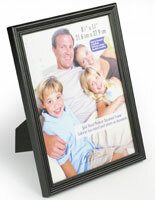 The photograph holders feature an easy-change design that allows documents to be inserted painlessly. 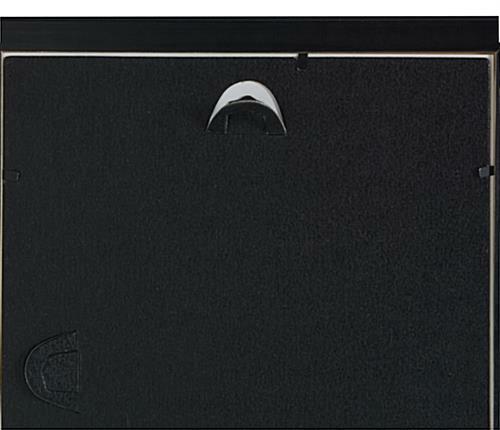 The fixtures are also available with a black finish.